Protection of the health of children and respect of scientific evidence are surely two key characteristics of a decent society. In a recently published, landmark book, Professor Philippe Grandjean documents how both are linked and how both are being betrayed, with enormous harm being visited on children as a consequence. Grandjean exposes how a combination of academic naiveté, negligence by regulatory authorities, and irresponsible interference by vested interests has created this public health crisis. In his book – Only One Chance. How Environmental Pollution Impairs Brain Development and How to Protect the Brains of the Next Generation (Oxford University Press, 2013) – Grandjean examines the ways in which industrial chemicals are causing a silent pandemic of brain damage, a situation he describes as a “chemical brain drain”. Grandjean is Professor and Chair of Environmental Medicine at the University of Southern Denmark and Adjunct Professor of Environmental Health in the Department of Environmental Health at Harvard School of Public Health. He puts forward the staggering statistic that developmental delay or neurological disease are thought to occur in about one of six children in the United States. While the cause of these disorders, ranging from mental retardation, cerebral palsy and autism to attention deficit hyperactivity disorder, is frequently unknown, Grandjean’s research points to environmental pollutants as likely culprits. Governments and industries have no problem with focusing on public health crises – as long as the focus is on charitable efforts to raise funds for research to find “a cure” or to aid victims. Such activities do not challenge harmful industries or their political backers, and the government applauds and subsidizes these activities with tax rebates. Hostility and retaliation often greet demands that industries and governments address inconvenient scientific evidence and end harmful practices, in order to prevent public health crises. Thus, instead of addressing the cause of the problem – whether it be cancer, hunger or brain disorders in children – huge amounts of funds are raised to sentimentalize and cover up the core issues. It is clear that the greatest challenge to public and environmental health – which are inextricably linked – is not the need for more research (even though research can, of course, be helpful) but the corruption of public health policy by representatives of powerful industries that make their profits from products and practices that cause epidemics of disease. At the May 2013 World Health Assembly, the director of the World Health Organization, Margaret Chan, spoke of new obstacles to protecting public health. She pointed to the way that powerful industries, whose products and practices cause harm to health, sabotage government action to protect health, using their vast financial resources to hire PR firms, to file lawsuits, to set up front groups and lobbies, and to fund scientists to carry out research to manufacture doubt. “Market power readily translates into political power,” stated Chan. 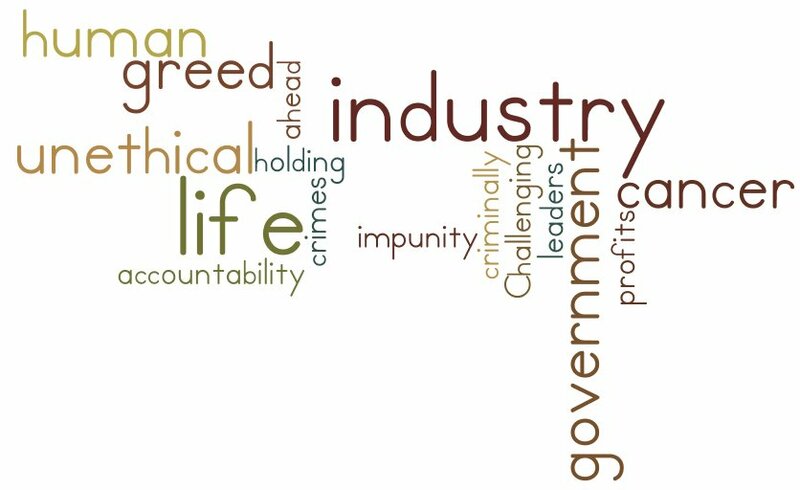 When industry lobbies succeed in corrupting government policy to make it serve their vested interests, not the public interest, one vehicle that has been used to hold these industries accountable for the harm and loss of life that they have thus caused, has been the courts. Through court cases, the hidden corporate documents, showing the wilful harming of public health by the industry, have been made public. In the United States, the tobacco industry and the asbestos industry, for example, have been ordered to pay hundreds of billions of dollars in compensation to victims, and to repay public health care costs. In Canada, nine provinces have filed healthcare cost recovery lawsuits for billions of dollars against the tobacco industry. Rarely, however, is an industry executive held criminally responsible and sent to jail for wilfully causing the deaths of many. The recent sentence by an Italian court of Éternit asbestos magnate, Stephan Schmidheiny, to 18 years in prison for criminal conduct in causing the deaths of thousands of workers, family members and residents, is the first time that any asbestos executive has been held criminally accountable for his actions. It is even more rare that a political leader or lobby group is held accountable for their role in corrupting public health policy and thus causing loss of human life. In a dramatic decision, handed down appropriately on International Human Rights Day, December 10, 2013, a French court ordered that a criminal case for homicide against the asbestos company Éternit, the French asbestos lobby group (le Comité Permanent Amiante, CPA), and a former French government official should proceed. For 17 years, the National Asbestos Victims Association (ANDEVA) in France has sought to have this criminal case heard. They launched the case in 1996 on behalf of 4,000 asbestos victims; 1,500 of the victims have died. ANDEVA endured years of obstruction, aimed at preventing the case from being heard. Finally, the case will go ahead. “This judgment confirms the position of asbestos victims who have constantly denounced the criminal activity of the asbestos industrialists and the asbestos lobby group, as well as the wrongful failure of the government policy makers,” stated ANDEVA in a a media release. “The way is now open for those responsible – ALL those responsible – for the health catastrophe caused by asbestos, which has destroyed so many lives, to finally face judgment,” said ANDEVA. In its decision, the court rejected the argument that in the years prior to asbestos being banned by France in December 1996, the industry’s position that asbestos could be safely used had been based on medical knowledge. The court also rejected the argument that the asbestos lobby group had not had influence over the government. The court noted that the French government had opposed both the U.S. ban on asbestos in 1986 and the European proposed ban in 1991, solely on the basis of documents submitted by the CPA. A December 13 article published by Le Figaro reports that France will indeed soon see its first criminal trial on asbestos. This trial is long overdue, comments Le Figaro, since the asbestos scandal was exposed in France in the mid 1990s. According to a confidential document, obtained by Le Figaro, the government prosecutor for Paris stated that “2014 will be the year for asbestos” and the criminal case should be heard in 2015. The decision by the French court throws an ugly light on Canada’s continuing sordid, deadly asbestos history. While a former government official in France is facing criminal charges for having claimed that asbestos could be safely used and for having failed to protect workers from asbestos harm while she was in the Ministry of Employment in the 1980s, Canada’s Prime Minister, Stephen Harper, continues to endanger lives by his continued support for the asbestos industry’s deadly lies. Harper has rejected the position of Canada’s medical experts and health leaders and instead endorses the totally discredited propaganda of the asbestos industry that chrysotile asbestos can be safely used, and that exposure to extremely high levels of chrysotile asbestos fibres causes no harm to health. Thus the Canadian government’s occupational safety regulations still today permit federal workers to be exposed to ten times higher the level of asbestos fibres than permitted by any Western country or by Canadian provincial regulations. Politicians such as former Minister of Health and now Minister of the Environment, Leona Aglukkaq, and physician and newly appointed Minister of Labour Kellie Leitch, have been rewarded by Harper for the roles they have chosen to play in defending the asbestos industry instead of human health. Some 250 health experts from around the world appealed to Aglukkaq, when Minister of Health, to stop supporting asbestos and deadly asbestos industry deception. She refused to do so – the only health minister of a Western country supporting asbestos. Numerous medical doctors and health professionals wrote to Kellie Leitch, the only Conservative MP who is a medical doctor, telling her that her support for the use and export of asbestos violated her duty as a physician. They challenged her to be true to her ethical obligations as a doctor and not to put political ambition ahead of human lives. She refused to do so. While the people involved in the 1980s and 1990s in the pro-asbestos lobby group in France (the CPA) are facing criminal charges for endangering human life, the people involved in the CPA’s sister lobby organisations in Quebec – the Chrysotile Institute (which closed down in 2012) and the International Chrysotile Association – continue to promote the same deadly lies, now in developing countries. A Canadian trio continue to play a leading role in the industry’s campaign to promote asbestos use in Asia. Clément Godbout was formerly President of the Chrysotile Institute and formerly President of the International Chrysotile Association (ICA), which continues to operate out of Quebec. 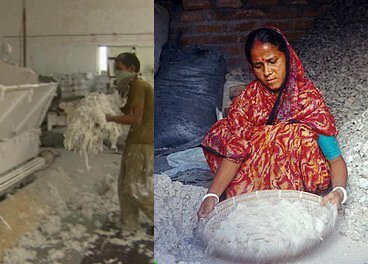 The two organisations worked together to promote use of asbestos in developing countries. Jean-Marc Leblond is a former director of the Chrysotile Institute and the current president of the ICA. Jacques Dunnigan is a former employee of the Chrysotile Institute and has received financing from the ICA. Over 300 scientists and organisations from 36 countries have have condemned their activities. Concerns have also been expressed of contamination of scientific literature. Financed by the ICA in cooperation with the Chrysotile Institute, Dunnigan co-authored an article claiming that chrysotile asbestos can be safely used. The article is a central part of the industry’s lobbying efforts at the national and international level. A complaint has been submitted to the editor of the scientific publication, regarding false information provided by Dunnigan and his co-author, and their failure to disclose ties with the asbestos industry. Thus the tactics condemned by WHO director Margaret Chan are being vigorously practiced by the asbestos industry today, under the leadership of the international asbestos lobby organisation, based in Quebec. It is shocking that conduct by politicians and by asbestos lobbyists, which a French court has ruled must face criminal charges, is practiced with impunity by Canadian politicians and Canadian asbestos lobbyists. Canada’s sordid, and arguably criminal, asbestos history continues today. Kathleen Ruff is co-coordinator of ROCA (Rotterdam Convention Alliance), an Alliance of Environmental, Labour and Health organizations around the world working to promote the full and effective implementation of the Rotterdam Convention. She is also a major contributor to PCN’s Ban Asbestos Campaign, is founder of RightOnCanada.ca and the author of Exporting Harm: How Canada markets asbestos to the developing world. It is a New Year – help us build on strengths and successes! 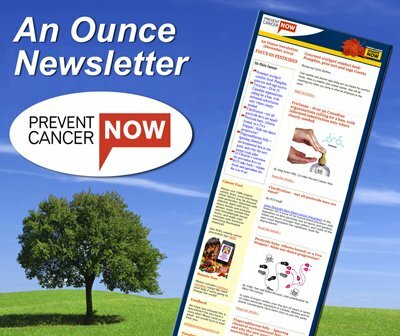 Does the sunshine vitamin reduce your risk of cancer? Should breast cancer be compensated as a workplace disease? 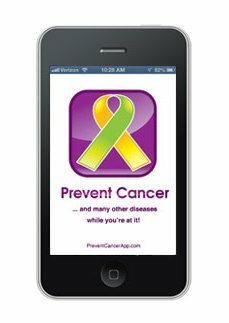 Get our new cancer prevention tool!